Eleven-year-old Paloma So is currently a student at Wycombe Abbey School, Buckinghamshire, UK. She loves literature and the arts, as well as outdoor sports such as tennis, swimming and skiing. Paloma started learning piano at the age of four and violin at five. In February 2014, Paloma made her debut with the Hong Kong Philharmonic Orchestra playing Mozart’s Violin Concerto No. 5. She performed the same concerto with Fujian Symphony Orchestra in May 2014. Paloma was invited to perform Sarasate’s Gypsy Airs as a soloist in G20 Gala Dinner in Brisbane Australia in November 2014. In March 2015, Paloma collaborated with the Hong Kong Philharmonic Orchestra again, performing Bruch Violin Concerto No. 1. In July 2015, she joined Zakhar Bron chamber music tour in Germany and Switzerland. Paloma collaborated with Guangzhou Symphony Orchestra, playing Vieuxtemps Violin Concerto No. 5 at Foshan Theatre and Guangzhou Concert Hall in April 2016. The same month, Paloma was invited to perform on the same stage with David Garrett in Interlaken Music Festival, Switzerland as well as performing a duet piece with Prof. Zakhar Bron by Shostakovich and a solo Wieniawski Variations on an Original Theme in Berlin Philharmonie. Paloma won the second prize at the prestigious 13th International Wieniawski Competition for Young Violinists in Lublin in September 2015, and the first prize at Novosibirsk Violin Competition in May 2016. After the competition she was invited to perform at the Interlaken Music Festival in 2016. Paloma played Bruch Violin Concerto with the Berlin Symphony Orchestra at the Berlin Philharmonie in November 2016. She was also invited to perform with the Guangzhou Symphony Orchestra again at their Chinese New Year Concert on 31 December and 1 January 2017. Together with Maxim Vengerov, Paloma played Navarra with the London Symphony Orchestra at the London Royal Festival Hall on 9 February 2017. She will perform Mendelssohn’s Violin Concerto in May 2017 with China Philharmonic Orchestra in the Beijing Forbidden City Concert Hall, and Mendelssohn Violin Concerto in Xian Concert Hall in July 2017. Paloma is also invited to perform Saint Saens Violin Concerto No. 3 in Singapore Esplanade Theatres Concert Hall in November 2017. As one of the most distinguished Chinese conductors with an established international reputation, Maestro Long Yu is currently Artistic Director and Chief Conductor of the China Philharmonic Orchestra, Music Director of the Guangzhou Symphony Orchestra, Music Director of the Shanghai Symphony Orchestra, Artistic Director of the Beijing Music Festival and Music in the Summer Air, MISA, as well as Principle Guest Conductor of the Hong Kong Philharmonic Orchestra. Long Yu is one of the conductors who conducts the world top-class orchestras most frequently, he has appeared with a prestigious list of leading orchestras and a lot of opera companies around the world, including the New York Philharmonic, Chicago Symphony Orchestra, Philadelphia Orchestra, Los Angeles Philharmonic Orchestra, Montreal Symphony OrchestraWashington National Symphony, Cincinnati Symphony Orchestra, Orchestre de Paris, Bamberg Symphony Orchestra, Hamburg State Opera, Rundfunk-Sinfonieorchester Berlin, Rundfunk Sinfonie Orchester Leipzig, Munich Philharmonic Orchestra, Sydney Symphony Orchestra, BBC Symphony Orchestra, Toronto Symphony Orchestra, Hong Kong Philharmonic, Tokyo Philharmonic and Singapore Symphony Orchestra. Long Yu was born in 1964 into a family of musicians in Shanghai. Musical education in his early childhood came from his grandfather Ding Shande, a composer of great renown, and he later studied at the Shanghai Conservatory with Professor Xiaotong Huang and then studied at the Hochschule der Künste in Berlin with Prof. Robinstein. Outstanding music talents, excellent educational background and extensive social resources make Long Yu a preeminent conductor. Long Yu's career has included both artistic and administrative appointments. In 1992, he was appointed Principal Conductor of the Central Opera Theatre in Beijing, and in the same year, he was involved in the planning of the first Beijing New Year's Concert and served as its conductor for three consecutive years. He also produced operas for The Urban Council of Hong Kong for five successive years. In 1998, he led the creation of the Beijing Music Festival and was its Founding Artistic Director. Under his leadership the Beijing Music Festival is regarded as the largest classical music festival in the eastern hemisphere and one of the world’s most important music festivals. During the past 18 years at this annual autumn festival there have been many splendid concerts given by leading orchestras such as the Berlin Philharmonic and the New York Philharmonic, as well as outstanding productions of the Ring, Der Rosenkavalier, Tannhäuser, La Traviata, Nabucco, Lulu and Lady Macbeth of the Mtsensk District by visiting opera companies including the Deutsche Oper Berlin, the Teatro la Fenice and the Mariinsky Theatre. 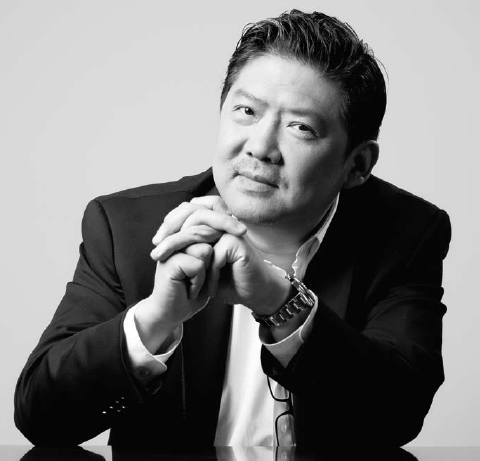 In 2000, Long Yu co-founded the China Philharmonic Orchestra and was appointed Artistic Director and Chief Conductor. Now entering his 9th season with the China Philharmonic, he has maintained the high standard of orchestral performance and artistic administration and built the ensemble’s reputation as not only a leading Chinese orchestra but also a world-famous one. In 2003, Long Yu was appointed the Music Director of the Guangzhou Symphony Orchestra and he has been raising the level and fame of the orchestra rapidly. He toured extensively with the China Philharmonic Orchestra, the Guangzhou Symphony Orchestra as well as the Shanghai Symphony Orchestra. In September 2003, under his leadership, the China Philharmonic Orchestra toured Europe, with memorable concerts at the Palais Garnier, Paris, the Teatr Wielki - National Opera Warsaw and the Grosser Saal of the Musikverein, Vienna. In December of the same year he undertook a major European and Egyptian tour with the Guangzhou Symphony Orchestra and Mischa Maisky, giving concerts at Theatre des Champs-Élysées, Paris, Concertgebouw Amsterdam, Luxemburg, Cairo Opera House and Alexander Opera House. From February to April 2005, he led the China Philharmonic Orchestra on an international tour. Within 40 days they appeared in 22 cities throughout North America and Europe. In 2008, for the first time in history, the China Philharmonic Orchestra performed under the baton of maestro Long Yu at the Vatican in the Paul VI Auditorium. The concert was attended by The Holy Father Pope Benedict XVI and marked a giant step in bringing eastern and western cultures closer together. In April 2009 the China Philharmonic Orchestra was selected by the Gramophone, which is widely regarded as the best classical music magazine in the world, as one of "the world's 10 most inspiring orchestras". In November 2009 Long Yu led the Shanghai Symphony Orchestra on a twelve-city North American tour which is a huge success. The tour began with the closing concert of the Ancient Paths, Modern Voices Festival at Carnegie Hall and included concerts in Los Angeles, Toronto and San Diego. A New York Times report from November 9, 2009 gave an introduction to Long Yu's artistic achievement and hailed him as "China's Herbert von Karajan." In March 2010 Long Yu conducted the Shanghai Symphony Orchestra at the 14th Ludwig van Beethoven Easter Festival in Krakow and gave concerts in Warsaw and Lodz. All the performances won high praise from both audiences and critics. In 2011, Long Yu toured extensively with the China Philharmonic Orchestra in 8 cities in west coast of United States. In Chinese spring festival of 2012, Long Yu led the New York Philharmonic in the First Chinese New Year Concert at Avery Fisher Hall of Lincoln Center. In July 2014, Long Yu conducted the CPO in the BBC Proms as the first orchestra from China to play in a world class music festival and the concert was highly praised by media and audience. Maestro Long Yu's reputation has been enhanced by his activities as a widely admired and respected figure in administration of orchestras and festival as well as in international exchanging of musical culture. As a champion of contemporary music Long Yu has been commissioning a number of works from today’s prominent composers such as Krzysztof Penderecki, Philip Glass, Guo Wenjing, Tan Dun, Ye Xiaogang and Unsuk Chin. Mr. Long Yu's recordings include, on Deutsche Grammophon with the China Philharmonic, Brahms's Piano Quartet in G Minor (orch. Arnold Schoenberg) and Wagner's Tannhäuser Overture, highlights of Chinese symphonic music and Yellow River Concerto with Lang Lang as featured soloist. Recordings on Naxos include Korngold's Violin Concerto and Ding Shande's Long March Symphony. In 2012 Long Yu lead the release of CPO Live a 100-CD box set of the live performances in the past music seasons of China Philharmonic Orchestra, as a milestone of both the development of Chinese symphony orchestras and the recording industry in China. In the summer of 2014 Long Yu conducted the CPO in a symphony film of the Chinese violin concerto The Butterfly Lovers as the first art film of classical music in China. In 2015 Long Yu conducted the CPO in another film The Yellow River. In 2013, Long Yu was awarded the national level arts award “China Arts Award”. In 2014, Long Yu received the France Knight of Legion of Honour. In 2015, Long Yu was named “Morally and Artistically Excellent Artist” by state authority. He was also awarded “Global Citizen Award” by the Atlantic Council, and the Sanford Medal by Yale University’s College of Music in 2015. In April, 2016, Long Yu was elected as a Foreign Honorary Member of the American Academy of Arts and Sciences. In June, 2016, Long Yu received German’s Federal Cross of Merit.